For those who know the obvious, can there be any greater government conspiracy than the one which covers up the skies around the entire world? Chemtrails do just that. That’s why they represent “The BIGGEST Coverup of All Time”. Can you imagine that there are now FAA-established flight patterns which have multiple airliners flying in circles leaving their jet exhaust behind like some teenager doing ‘donuts and wheelies’ on his motorcycle in the empty school parking lot?! 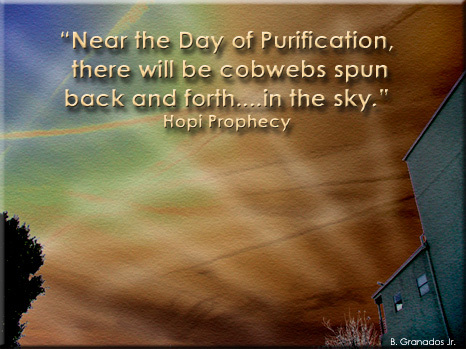 In other words they would have us believe that the following photo is merely a snapshot of everyday contrail activity. They would also have us believe that the picture below has captured regular contrails being ejected by your average passenger jets?! Even when the location is no where near a major airport … or any airport for that matter. Are the masses of people really that addicted to deception? Just how long will the people of the world allow their governments to deceive them with such transparent falsehoods? Especially when the conspiracy concerns the unrelenting and pervasive blocking of vital and necessary sun rays worldwide. Who among us is not adversely affected by such an ill-conceived and misguided geo-engineering program? Is there a farmer anywhere who would not want to know that their skies overhead were being permeated with chemicals which are intended to block the sun? They refer to this technique as Solar Radiation Management. By the way some of those chemicals falling back down to earth are downright toxic? What is a certified organic farmer to do with such an impossible predicament? How about the weathermen and weather-women? How long will they be permitted to present predictably inaccurate weather forecasts to their audiences. How can they possibly predict the weather in light of the obvious and massive impacts that chemtrails have on the local weather patterns across the planet? How much other human activity depends on accurate weather prediction for both safety and health reasons? This list of those individuals and institutions who are negatively affected by the global chemtrail program is, of course, extremely long if not endless. The sun, after all, influences the planetary biosphere more than any thing else. Trying to control the primary forces of the sun is not only the height of folly; it is also guaranteed to backfire like so many other harebrained schemes that have been hatched within the antiquated and fundamentally flawed scientific paradigms still in use today. One does not have to be a rocket scientist to easily understand that the incessant spraying of chemtrails, like the one pictured below, will ultimately produce catastrophic unintended consequences, collateral damage and toxic side effects, often when, where and how they’re least expected. The ongoing conspiracy of silence is as deafening as the conspiracy of deception is overwhelming in scope, reckless in its implementation, and shocking for its complete lack of conscience and intellectual integrity. Their purposeful deceit and transparent lies increase by the day concerning avery aspect of geo-engineering because so many are waking up (read “looking up”) by the day. How can we as a human race continue to accept the multifarious harmful consequences occurring all over the planet 24/7. Are we to remain content just going along with the official lie? Here is a very recent dialogue on the Colbert Report which brings into sharp relief the degree of deception which is routinely utilized in the promotion of geo-engineering by way of chemtrails. Be sure to watch and listen for both sides of the chemtrail clown act in this video, particularly where it concerns the deliberate and thorough obfuscation of the core chemtrail issues. That was David Keith in the video, a Harvard-eduacted, -trained, -sponsored, and -funded scientist who is considered one of the philosophical heavyweights of the current and predominant school of geo-engineering. As chief protagonist for global chemtrailing, he has knowingly misrepresented the geo-engineering program as much as any person alive on the planet. In the words of one fiercely anti-geoengineering advocate, “David Keith is the devil himself, especially where it concerns the aggressive promotion of such an inherently destructive geo-engineering disaster”. The same environmental advocate has also pointed out that “if it is true that the devil is in the details, then Keith is as fast and furious as they come where it concerns omitting and mis-stating the facts”. Should the reader question this assertion, please feel free to review the previous YouTube video. The categorical evidence of making so many false statements is enough to convict David Keith as a primary co-conspirator in this ongoing plot to deceive the entire world. The only way to effectively reveal the coverup and unravel the conspiracy is to expose the primary suspects. By their own words they shall be revealed. David Keith is only one of many who ought to be held to account for denying the existence of chemtrails in the recent past. Other perpetrators, such as Ken Caldiera, also serve to bring their polished credibility and institutional prowess to the table of public discourse. However, up until now, a great majority of folks have simply bowed down to them as though they are the final authorities on all things having to do with geo-engineering. 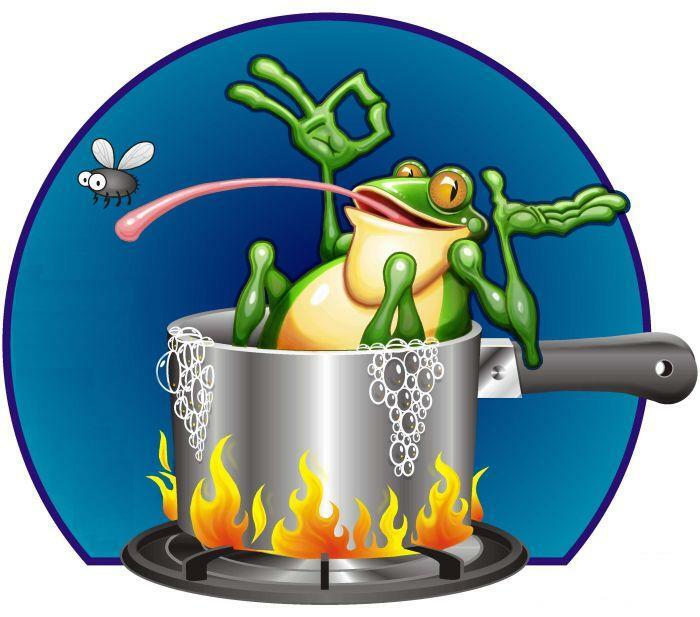 We are all frogs in the boiling water, and chemtrails only turn up the heat. Such blind acquiescence and ignorant cheerleading by the establishment and MSM is precisely what has created our current global stew pot. That global warming is a reality of our times is now indisputable; even so, they just keep turning up the heat so as to ensure that the worsening planetary predicament will continue to only get worse. Clearly, the planetary civilization has come to a major milestone. It will either continue down the road to weather armageddon as we have ALL witnessed and/or experienced first hand over the past twenty plus years. Or, we can shake off the misplaced allegiance which so many blindly display for the current scientific paradigms. Just because Harvard and Stanford provide the academic and research platforms for such shockingly ill thought out geo-engineering schemes, doesn’t mean they possess an ounce of intellectual integrity. In fact, so beholden are these ‘venerable’ institutions to the corporate interests who are actually behind worldwide chemtrailing, that they must now be viewed with great skepticism and justifiable derision. How else are the billions of other residents around the world to take back their home planet? These heretofore self-proclaimed experts must be outed for using the perilously bad science and untested technology which they carelessly put to work everywhere they want to. Foul the air and the entire biosphere will degrade to a point of extremely low quality of life for every living inhabitant. Furthermore, the entire human race risks pushing the planet beyond critical thresholds which just might exceed dire points of no return regarding key scientific parameters concerning human health and the medical markers which now serve as the norm. Were certain triggers to be pulled, the entire global environment could be sent into a downward spiral which might be irreversible. Mutually reinforcing negative feedback loops have a tendency toward producing these kinds of planet-wide phenomena, so this word to the wise comes at an exceedingly crucial time in human history. Mind you, we are talking about what is potentially the greatest unintended consequences to Earth’s environment ever seen or imagined. AWESOME Earth Changes Coming Around The Corner – Can we avert them? 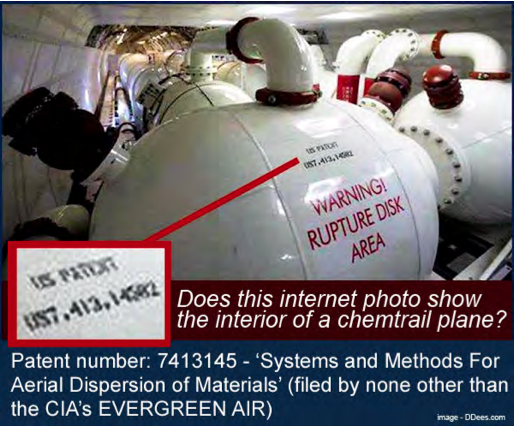 So, one of the most significant questions is: Do we really trust the CIA (see photo below) to implement a global weather modification program with any degree of integrity, or transparency? Can the US Department of Defense or DARPA (Defense Advanced Research Projects Agency or DIA (Defense Intelligence Agency) ever be counted on to make decisions that are based on sound (really sound) science or taken in the best interest of the citizenry. These are war-making entities whose purpose it is to execute military operations and battle plans against enemies near and far. In those bellicose undertakings, truth is always the first and greatest casualty. It has always been that way, and it will always be. In light of these grim realities, We the People have before us an unprecedented societal imperative, as well as unparalleled national necessity. If ever there was a serious need for a global grassroots movement to shut down an undisclosed, unapproved, black-budgeted, government-sponsored, worldwide, weather modification program that essentially poisons the skies of the world, sky chemtrailing is it. Every person who looks up to the sky and sees the horrific coverup of chemtrails is surely responsible to do their part. Therefore, all people of good will ought to be enlisted to do whatever they can to immediately terminate the extremely inferior and dangerous form of geo-engineering known as chemtrails. They must be stopped once and for all — by all means necessary — wherever and whenever they manifest around the globe. Should the current generation fail to respond to this call, and do so with all deliberate speed, the viability of Planet Earth will continue to hang in the balance. Truly, humankind ignores omnipresent atmospheric engineering at its peril. The livelihood of all future generations has been placed at great risk. It would seem that those of us who know the truth have the duty to right the course for all of those who have yet to be born on this beautiful blue orb. 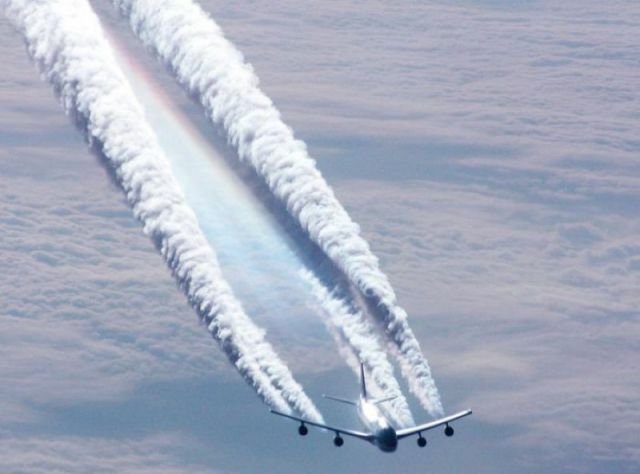 Taking A Stand Against The Unrelenting Chemtrail Assault | The Chemtrails Must STOP ! 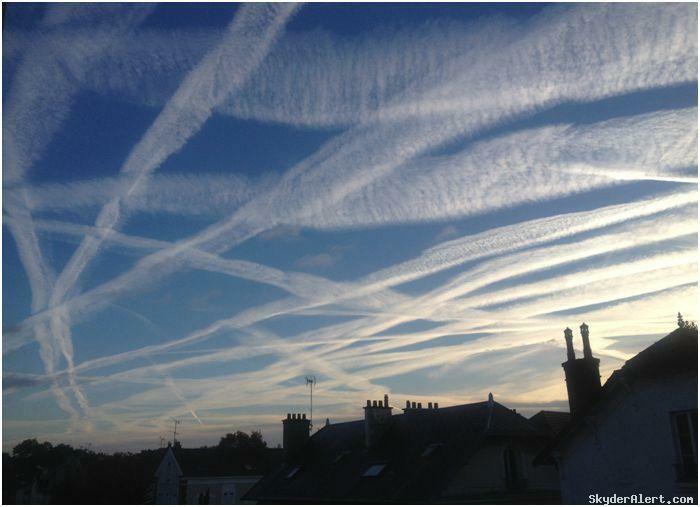 2013 has seen a flurry of media attention focused on the planetary chemtrail catastrophe. Wherever the MSM has attempted to put a positive spin on such an ongoing atmospheric disaster, it has enlisted the testimony of the David Keith’s of the world. In this way those of his ilk are being given quite favorable press COVERage in order to deflect the factual accounts that are being presented by the alternative news realm. These so called geo-engineering experts are being set up as the chemtrail “philosopher scientists” whose authority is not to be questioned and whose knowledge is not to be tested. Saturate the media with as many positive and/or obfuscating reports as possible on chemtrails, and the average person will be overwhelmed by the confusing and often contradictory messages. Also, frequently and emphatically mention geo-engineering in the favorable context of being a legitimate means to reverse Global Warming. How do you spell C O V E R – U P ? Not only providing the perpetrators with MSM COVER, but also participating in “The BIGGEST Coverup of All Time”. this could be part of agenda 21 what would be the easiest way to kill off billions of people spray a virus over them like bug spray and wait. Nah, they are more insidious than that. They want to give you cancer and autoimmune and hope it gets passed on in your DNA. The MSM does not cover this because the MSM is controlled by the people that are involved in the spraying. Also all my family members that I have informed think that this is not happening. It is obvious that they are either blatantly stupid or very Ignorant to the fact. People are being Duped by listening to the weathermen and can't even use their own eyes and ears to acknowledge what is going on. As this is totally abnormal. People think it is normal because they are being conditioned to think that way. I was told about this about 15 years ago. The person said there are people in the world that are trying to Kill off the population. I didn't listen then. Now that I see more and more people dying around me I believe it. After one does some serious research and look up and see the mess each and everyday in the sky then they just might listen. Until that happens then these Deniers will remain Stupid to the Fact. Completely agree with you, Jane. And the spraying of this stuff has aged me and my family like you wouldn't believe. We look 20 years older than we should, and we endeavour to live healthy lifestyles. Yes, have acquaintances and family members who "look" but don't see. We drove miles and miles on a vacation – nothing but chemtrails in progress – and one stubborn relative denied anything was the least bit remiss. It's amazing how some cannot see what is going on. Brilliant article thank you. Your passion is palpable. You have to wonder, these “people” allowing this also live on this planet, do they not have families that are being affected by this too? I live in South Africa and I have been seeing chemtrails over our game reserves this year – including over the Kruger National Park this weekend, for hours! What used to be my most favourite past-time, game watching, has ended in me watching the skies like a hawk instead. I just feel so utterly helpless against a force like this, and so enraged. How on this earth do we stop this from happening? Our beautiful planet is dying before us, for what? Money?! I have come to realize the chem-trails that have been sprayed on the people of the planet earth since 1980. I have furthermore studied in detail that the government has a long term goal to exterminate 5.5 billion people from the planet earth with the intent of furthering the greed of the powers in control of this world which includes every country under the sun. These powers have their roots in the aristocratic of the monarchy found in the palace of Great Britain. Great Britain is the power that rules the entire world. This power to rule the entire world is what enables this planet to become under the authority of a New World Order who’s intent it is to reduce the worlds population by spaying the masses with toxic chemicals that will have deadly long term effects. Great Britain has as its henchman,the United States government and the Vatican; from the president and all parties regardless if they are Republicans or Democrats, because the relationship is that of good cop bad cop but they all are conspiring towards our demise,to the Pope. These allies use the Freemasons who use the Illuminati has what I refer to as hit-men to do all of the dirty work while they remain incognito,inconspicuous out of the public eye. All of the wars and any other atrocity’s have been caused by these “hit-men” to create calamity and chaos all over the world. You may ask yourself; what type of people would carry out such a diabolical plot to destroy innocent men, women and children from the planet earth; well my response is that they are evil people under the influence of evil entities, who I won’t describe at this point because I need your attention, but be assured that they are under the power of whom the Bible describes as the Antichrist. They are ruthless, heartless,beastly,and without conscious of life and death because to them we are no more than sleep being lead to the slaughter simply because we won’t pay attention to the signs. 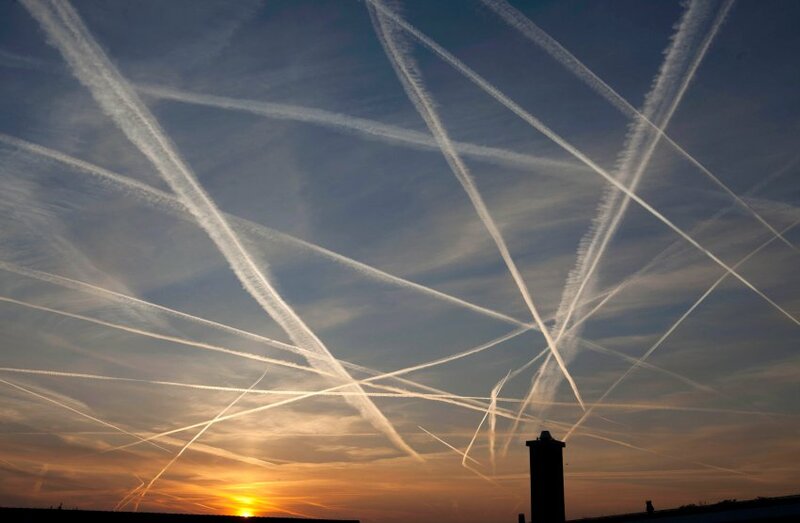 Look up at the skies all over this planet and you will see these planes flying erratic patterns emitting these chemicals into the sky that form into scanty clouds, that merge with real clouds, that ultimately rain death on the inhabitants of earth. I have made it my duty to warn the people of earth beginning with my own family but I have discovered that either they are co-conspirators or that they are plan stupid not to look up and see what’s happening just above their heads. It seems useless and you feel helpless but there are millions of people who are stepping up to the plate and protesting against the governments of the world but the governments of the world control all of the media and propaganda to diffuse or supply us with a maze of information that the average person will never sort through. The massive amount of rebuttal from the government will cause the citizens of the planet to recoil into their cooping mechanisms of the mind and succumb to this tragedy as something that they can’t do anything about and proceed with being content to live out their existence without regard for the generations to come. The people are the rulers of the world but sheep will be lead astray. If we would but protest in numbers and demand answers regarding not only Chem-Trails but why all of these other explainable events are occurring from 911 to the War of Independence between Great Britain and the Thirteen Colonies. Here’s the situation: we are facing perilist times but the outcome is not inevitable. Once we begin to oppose the world powers and demand answers; once we are exposed to a little light, just a flicker of light,then the light becomes brighter and brighter until we can plainly see the whole picture. Chem-trails are just the tip of the iceberg: These people are trying to kill us. Wake-up and get off play station young people, wake-up and leave the ball games adults; these and other such distractions are instituted to distract us from what’s going on in the world. While we work play,and attend church the powers of this world are plotting “right now” to destroy us! Go to web-sites and read more about what’s going on and become inquisitive because knowledge begets knowledge and with knowledge comes understanding, and with understanding comes actions, and actions causes change. Thank you for this extremely well-written article. Indeed! this IS the biggest cover-up of all! It seems that if mainstream media doesn’t cover it, the masses won’t believe its happening. We have to look up and wake up. We are covered with FAKE Chemical clouds. This has affected my. and many people’ s health. We all have to breathe here! let’s bring David Kieth and all the criminals responsible for Chemtrails/Geoengineering to justice! I’d just like to know what the chemicals are exactly, and the msds on them! How come the news isn’t all over this? I have a lot of chemtrails laid over where I live in Northern California. The weather people call the trails “high clouds” but yet we are in one of the worst droughts. You will hear on tv that rain is coming but then they lay the chemtrails we get no rain but then going east the storms are more extreme. The storm that caught my eye was Super Storm Sandy. We would have twenty plus lines in the sky for three days before that storm hit the east coast. We have the largest lake in CA with mount Shasta & Lassen have such high amounts of aluminum that they now tell us not to eat the snow. I was unaware that the chemtrails in my area have been going on since the 1980’s. My eyes have been opened!! Leave it to the conservatives, they really know how to get things done! The only thing that makes sense to me is this must be some twisted lab experiment with all life used as rats. Everything is backwards. They say this is proposed, but it obviously underway. They say it is to prevent warming, but the chemicals are killing the trees that do natural cooling. They are dumping chemicals in the air and making the GMO food produce poisons. Over in once pristine Hawaii they are testing GMO crops by dumping increasing amounts of chemicals on them, thereby polluting everything. We are infested with crazy MOFOs and I am bloody well sick of them. 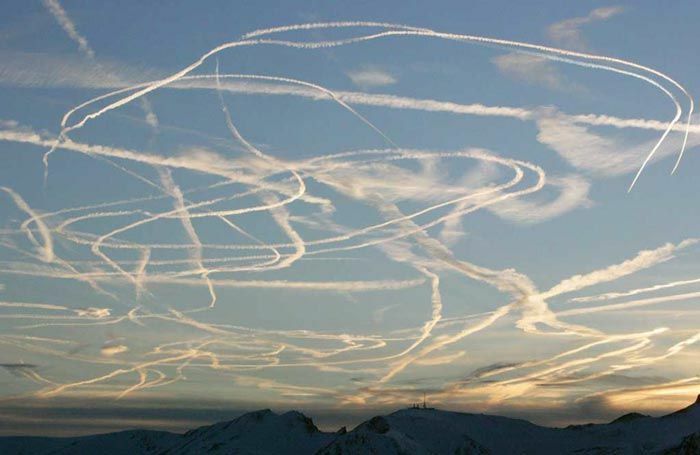 almost every plane that crosses the sky, the pilots are competing in a tic-tac-toe tournament marathon! That tic-tac-toe tournament happened yesterday in where I live, and I captured over 200 photos of it! walkers (I call zombies) refuse to be disturbed by thoughts of such a diabolical, genocidal, conspiracies! You can lead a zombie to knowledge, but you can’t make him think! If you really want to learn the truth, follow the links on this website! almost every day I wake up to what should be a clear blue sky.soon after daylight,that clear blue sky becomes a tic-tac-toe puzzle of chemtrails streaking across the sky.during the day those streaks spread out and cover the sky with a white flat spread that eventually covers all the blue.on 12/18/2013,here in Kentucky,with a beautiful full moon as a backdrop,icould see trails being sprayed .i’ve counted numerous jets in the teens,all spraying this crap at one time.this goes on almost on a daily basis.this is wrong and must be stopped.i truly believe we are slowly being poisoned into non-existence.how do we stop this?help!!!!!!!!!!!!!!!!!! The fundamental laws of thermodynamics place fixed limits on technological innovation and human advancement. David Keith and Ken Caldiera have been tried and have been found guilty. We don’t have to prove anything to anyone anymore. It has been proven and the proof is all around us. David Keith and Ken Caldiera are paid liars. The mainsteam media has called them environmentalists and that is just a lie! They should correct that! They are anti-environmentalists. I will hold them accountable for the decline in my families’ health that has been caused by the spraying over my property for at the very least, 10 years. I have ten years of photographic proof. And if you are a person who can’t see they have made a major change to our planet’s atmosphere then you do not belong on this planet. Plain and simple. If you do not care about the wildlife that is dying because of these “experiments” then you do not belong here. If you a pastor or doctor and you are not standing up against this crime you are not doing your job and should step down gracefully and speak out now. Because the truth will be revealed and you come up wanting. WE THE PEOPLE have found you guilty and you will not be able to withstand the rage you have caused to grow by your silence on this subject. Long before your God judges you will have to answer to us the WE THE PEOPLE! We will use the current model of justice in America which is guilty until found innocent to exact punishment for your crimes. Agree – its spin, cover up and a weird form of PR – but this David Keith takes the biscuit! He is promoting a book and pretending he has just thought of this way of slowing down “global warming” and is trying to make money from this. Who is controlling him then? It’s not possible, is it? Wasn’t he the chap who was talking about spraying the atmosphere in a previous docu-video advising this is what we could do. Whoever “they” are that are in “the programme” because meteorologist are for sure for fear of unemployment, they are now turning it inside out to try and make us believe they were not spraying in the first place but it would be a good idea that they have come up with and we could start now. They are covering their backs – yes? Because they know they’ve messed up!